We know that you're looking for great service at a great price. Our trained and California licensed staff is ready to help you. 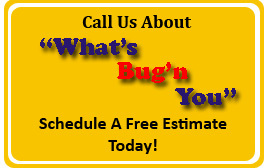 Please take a moment to look at our services designed specifically for residential communities and commercial buildings to see the many ways that we can solve What’s Bug’n You today!